A Metra train struck a pedestrian in Lisle on Monday. 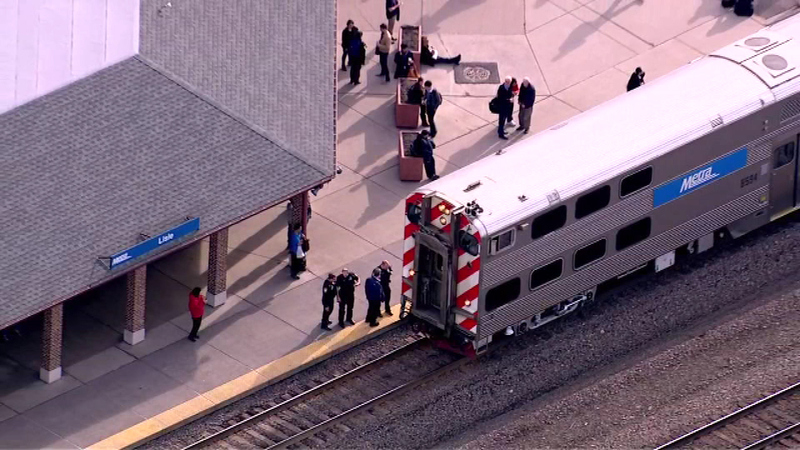 LISLE, Ill. -- Inbound and outbound BNSF Metra trains are now operating on a normal schedule after a pedestrian was fatally struck in Lisle on Monday afternoon. An inbound BNSF Metra train struck a man just off the platform area as it was pulling into the Lisle station just after 4 p.m. Monday. Train #1272 was scheduled to leave lisle at 4:08 p.m. and arrive at Union Station around 5 p.m., but was stopped as police arrived. All inbound and outbound BNSF trains were halted for a time Monday afternoon. By 5 p.m., trains were moving on a single track at reduced speed and passengers who were on the affected train were put on another inbound train. Lisle police are still investigating what led to the fatal accident, but said preliminary information suggests the man may have taken his own life. For the latest information on delays, visit metrarail.com.